Somebody should start a magazine called The Adversary Relationship. The press has an adversary relationship to government, the child has an adversary relationship to parent, the student has an adversary relationship to teacher—and, above all, the individual has an adversary relationship to the multitudinous collectivizings around him. 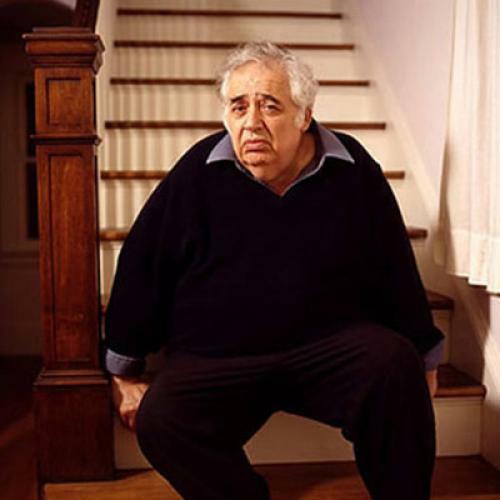 Now Professor Harold Bloom of Yale has tried to demonstrate, in what should be one of the most discussed books of literary criticism in some time, that poetry for the last 300 years is nothing more than a working out of adversary relationships between poets. Bloom gives us Milton’s Satan as the model adversary, and Milton’s God as the ancestor poet against whom Satan—as an “ephebe” poet—must struggle. (Yes, the reader must accustom himself to words like “ephebe” if he reads Bloom.) The ephebe is a poet who is just growing into his adversary role. He is an angel of God, which means that he is under the poetic influence of God—Wordsworth the ephebe of Milton, Roethke the ephebe of Yeats, and so on—and can never wholly escape his servitude; yet he is also a fallen angel, one who has “swerved”—to use another term from Bloom’s glossary—from the God path, and is therefore in a position where he can (sometimes) imagine himself as liberated. The swerve is the sign and evidence of his adversariness, and though it may manifest itself in six different ways (let me merely list the “six revisionary ratios” and be then forever silent on the subject; they are Clinamen, Tessera, Kenosis, Daemonization, Askesis and Apophrades! ), it remains only a swerve, or deviation, or revision rather than a new venture; hell remains a suburb of heaven. Are any readers still with me? If so, I ask them to note that Bloom does not here imagine himself to be describing merely a particular kind of poet—the dark melancholic kind to be found sulking in school corridors because the world harkens not to his genius—but describing the one and only characteristic poet of the modern (last 300 years) age. And note also that Bloom does not imagine his book to be simply an exploration of poetic motivation. No, he would have it that he is dealing with the essential meaning and substance of poetry too; he tells us that a study of, say, Wordsworth’s swervings from Milton is or should be the whole shebang of lit crit. “Let us,” he asserts, with a mixture of nihilistic grandeur and simple English-teacher weariness, “give up the failed enterprise of seeking to ‘understand’ any single poem as an entity in itself” (here throwing away, among others, his Yale colleagues Brooks and Warren). “Let us pursue instead the quest of learning to read any poem as its poet’s deliberate misinterpretation. . . of a precursor poem or of poetry in general.” This pursuit of an ephebe’s poetic origins Bloom regards as the main job of “practical criticism,” and his particular contribution to it. To catch the full significance of the Bloom proposal I think it may be useful to focus on its psychic rather than its literary orientation. After all, the issues of literary indebtedness have been with us through the ages, but what Bloom is adding to the familiar academic drudgery of tracing literary sources is a 20th-century version of the 19th-century preoccupation with poets’ lives, against which Richards and the later New Critics rebelled. In doing so he is much in the psychic swim. Theodore Roszak wrestled with the ideologies of the ‘60s in his recent book, The Making of a Counter Culture, and having duly balanced “social reality” against “psychic reality” came to the tormented conclusion that both were real but “psychic reality” was realer—which is what Bloom now also, in his own league, comes up with. The result in both cases—that is, in Roszak in his dealings with the sociological swerve that created the counterculture, and in Bloom in his dealings with poetic swerve—is that an individual’s private sensibility, rather than his culture or his poem, becomes the primary subject. Roszak searches for ways of keeping or restoring the health of the private sensibility in a technological society. Bloom searches for the causes of the sensibility’s poetic responses in a sort of social-cultural vacuum. In both cases it is the private sensibility that is attended to, not the “other” it lives with or serves. Not that I wish to deny him his general adversary vision of what poetry has come to be. I think there is much to be said for it, both as a vision of the way poetry comes into being, and as a suggestive approach to some of the problems of teaching poetry. But there are many possible adversary visions, in and out of poetry—Marxist visions, Jungian visions, nonindividualist visions. One doesn’t have to choose the Satanic individualist vision as the one and only; indeed to do so seems to me perverse and Satanic. Bloom so chooses and in choosing he in effect insists that we should now finally forget about poetry and concentrate on poets. His theories need, for their sustenance, only phantom poems, poems that neither mean nor be, but only point to the beings behind them. Bloom is like the linguists who have given up on meaning and are content to study verbal stances and how they arise. His position is thus a denial of any lingering hope for the classical vision of poetry—which, to be terminal here I shall merely characterize, in Irving Babbitt’s much elaborated-upon term, as originating in le sens commun, as opposed to le sens propre. Furthermore, having issued his denial he then proceeds as if his denial were a godly edict that has already taken irreversible effect upon the whole of poetry. Who among contemporary poets does he acknowledge the existence of?—only A. R. Ammons and John Ashbery. One need not question either their merits or their influence to be disturbed by Bloom’s neglect of other poetic presences and possibilities, a neglect that seems an extraordinary piece of intellectual insularity. Our excesses of individualism are not producing a glorious adversary poetry of Satanic stature, but a poetry unread and unreadable that may properly be regarded as not art but therapy. That way does Bloom further lead us—and the only sensible next swerve away from his excesses may be poetic silence. I mean that a poet feeling a Bloom poem coming on may profitably go to a shrink instead, and get his adversary relationship fixed up without burdening a publisher. If the poems are of no consequence, why bother with them? This article appeared in the February 10, 1973 issue of the magazine.